You’re standing in vineyards sipping the best pinot noir you’ve ever tasted, surrounded by the very vines from where it was sourced. This isn’t France, Germany, Argentina, or even Napa. 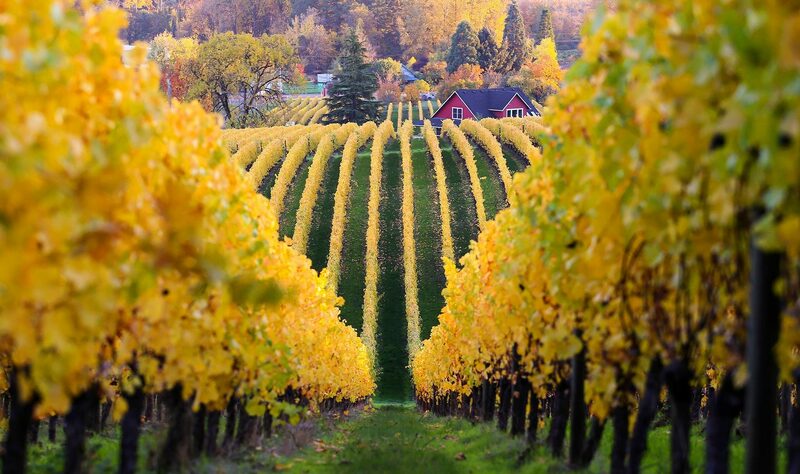 This is wine country the Oregon way. The people who planted these grapes 50 years ago were considered crazy. They were laughed at for believing that actual wine could be produced here. How wrong those naysayers were. You raise a glass and toast the true pioneers of Oregon. Your companions on this incredible seven-day journey are the second-generation owners of Elk Cove, Ponzi and Sokol Blosser wineries. These ‘Oregon Originals’—Adam and Anna Campbell, Anna Maria and Luisa Ponzi, Alison and Alex Sokol Blosser—are the children of the wineries’ founders, a passionate second generation of vintners who’ve taken up their families’ respective mantles and continue to produce some of the region’s finest wines. We’re honored to experience the best of Oregon, from wine country to Portland to the Oregon coast, in such fine company. 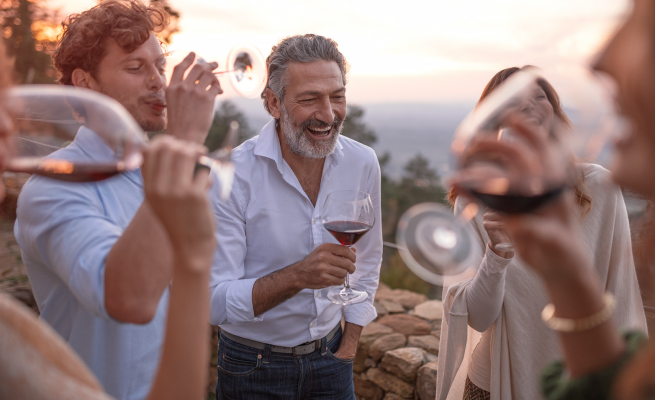 If you love celebrating heritage, craftsmanship and the art of fine wine, this trip is for you. If you can’t wait to explore a city bursting with culture, a valley of overflowing vineyards and an otherworldly coastline, join us. Come to the Pacific Wonderland and appreciate it as only a true Oregonian can. 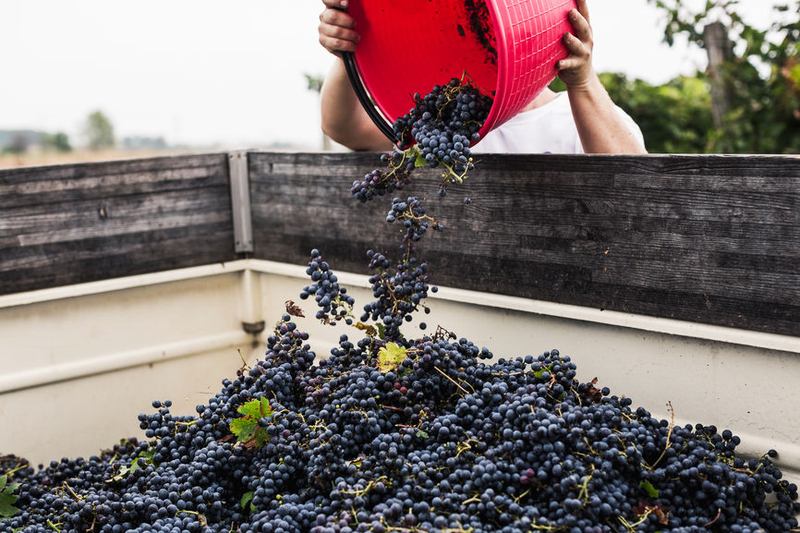 VIP access to some of Oregon's top wineries—and help harvest this year’s crop of pinot noir! Second Generation Vintners (2GV) is a collaboration between the siblings of Elk Cove, Ponzi and Sokol Blosser, three of the ‘Oregon Original’ wineries established in the early 1970s—and the only three original Willamette Valley wineries still owned by the founding families. The Campbell siblings—head winemaker Adam Campbell and creative director Anna Campbell—translate their passion and lives among the vines into the outstanding Pinot noirs and cool-climate white wines that make Elk Cove famous. Nearly 50 years after their parents started, Maria and Luisa Ponzi are driven by the idea that the varietal must match the terroir and climate. Ponzi sets the bar for Willamette Valley wines in so many ways. Alison and Alex Sokol Blosser carry their parents' drive and spirit, creating sustainable, organic wines that express the distinctive flavors of their hillside vineyards. Sokol Blosser is more than a glass of wine: It’s a sense of place. Oregon pinot noirs and chardonnays are world famous, and justly so. 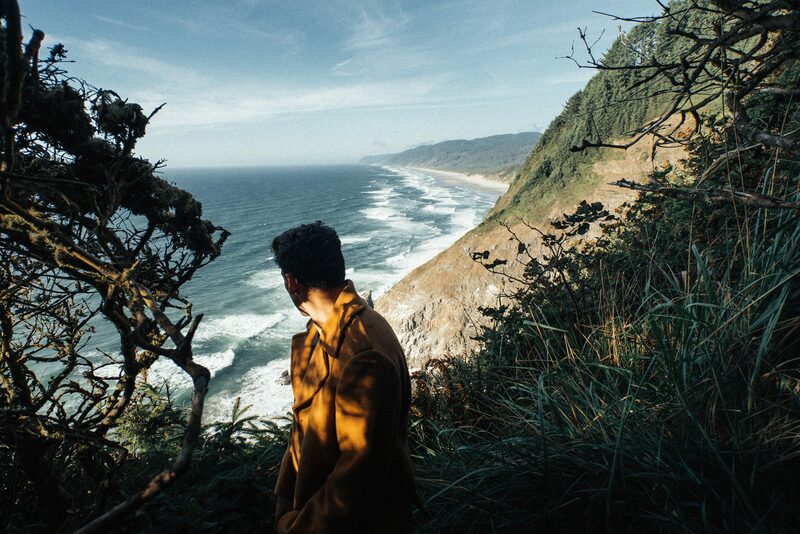 Oregon is an inspiration of landscapes, food, and pioneering spirits. 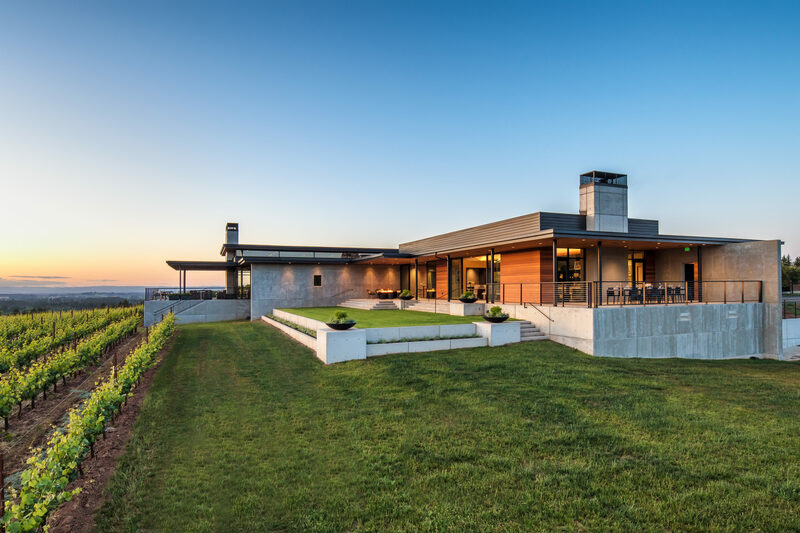 Oregon at its finest: Willamette Valley wine country, Portland and the dramatic Pacific coast with the second-generation owners of Elk Cove, Ponzi and Sokol Blosser wineries. Enjoy VIP lunches in the middle of vineyards, help harvest this year’s crop of pinot noir, and taste oysters fresh from the Pacific. Pick from one of two departure dates. Welcome to Portland! 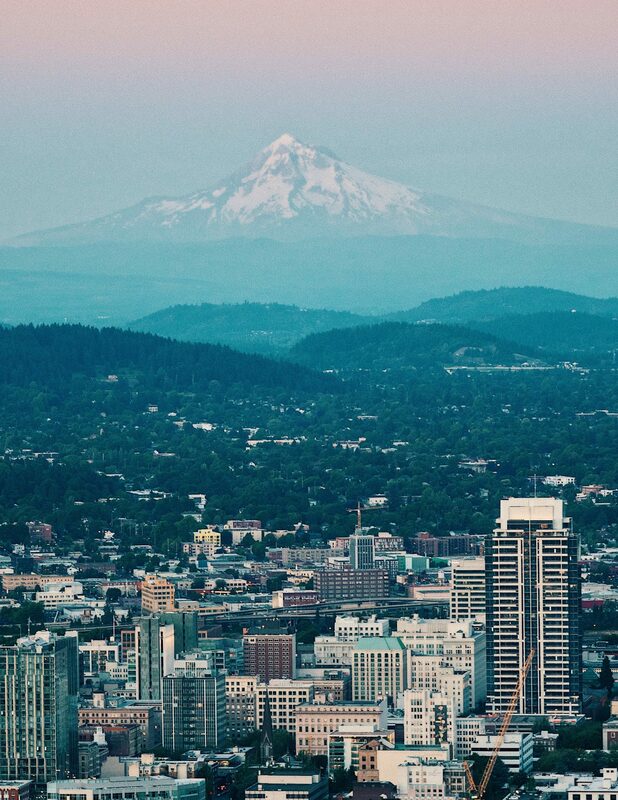 Bridge City, Rose City, Stumptown—it goes by many names but it’s one of a kind. After meeting at our downtown hotel, we’ll dive into what all real Portlanders hold near and dear to their hearts: brunch. 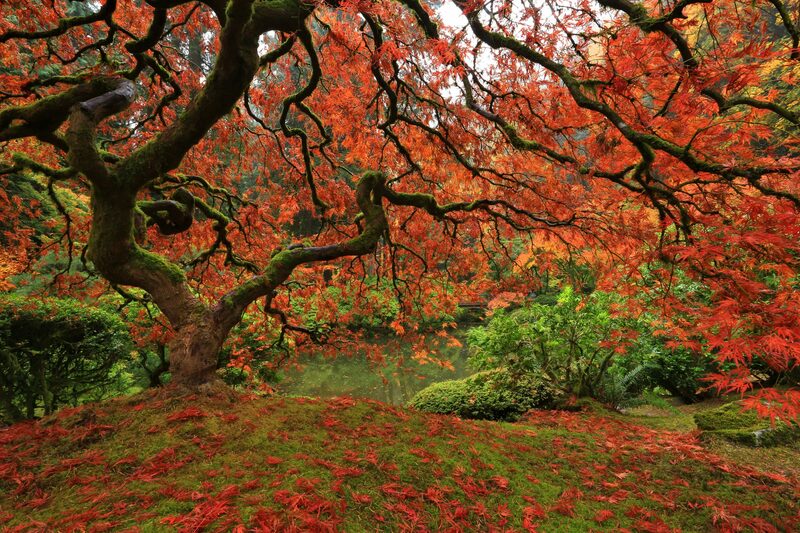 We’ll get acquainted at local favorite Clyde Common before heading to the iconic Japanese Gardens for a private tour. Japan’s former ambassador lovingly called the Gardens “the most beautiful and authentic Japanese garden in the world outside of Japan.” Meander along the meticulously curated landscape and experience old world serenity contained right in the city. With our souls revived, we’ll move on to a tour and tasting at Freeland Spirits. This isn’t just any distillery—it’s one of the few women-owned and operated distilleries in history. Yes, history. It’s the perfect way to cap off our afternoon. 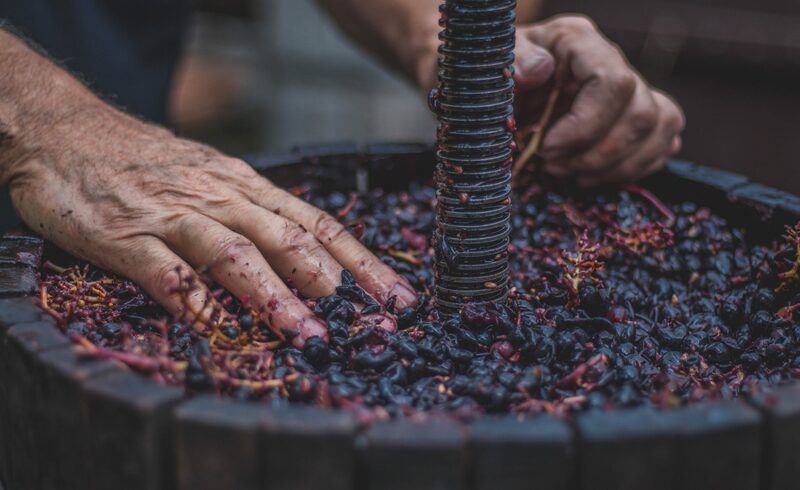 More astute palates may even sample a bit of what’s to come—Freeland uses Elk Cove wine barrels to make their incredible batches. We’ll finish our first day together with dinner and a toast to our Oregon adventure. When people say Portlanders take their coffee seriously, they mean it. We’ll spend the morning learning to taste and score coffee with local favorite Coava. 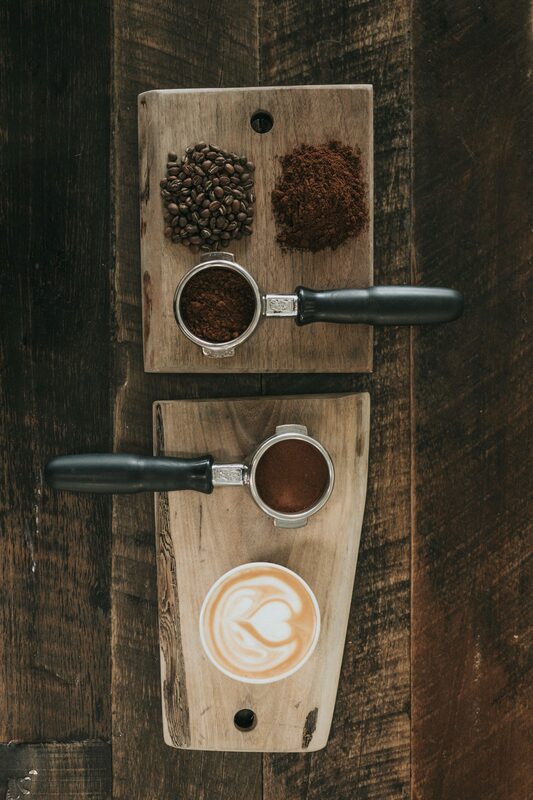 It’s not your average cup of jo: taste what the “third-wave” coffee movement has to offer, sipping and savoring the delicacies of Portland’s lifeblood. With our senses awakened, we’ll drive out past the Northwest hills and into bucolic wine country. Lunch is waiting for us at Ponzi Vineyards, along with our first wine tasting of the trip at their exquisite Laurelwood, a magnificent private space set neatly atop their sloping vineyards. Afterward, we’ll move on to McMinnville and check into our hotel, with plenty of time to explore this charming little town on our own. Today we celebrate farm-to-table craftsmanship. We’ll begin in the fields, harvesting grapes at Elk Cove’s La Boheme vineyard block—some of the estate’s oldest vines. The Ponzi, Campbell and Sokol Blosser kids grew up doing the same thing when their families were considered crazy. Fifty years later, and we’re standing in vines as far as the eye can see. Experience how the wine we’ve been enjoying made its way from right here to the bottle. The best part is, we won’t have to wait quite as long. We’ll visit Sokol Blosser winery next, for a tasting and decadent lunch. Executive Chef Henry Kibitz is preparing a customized menu foraged from the winery’s property, and will walk us through how each dish pairs with our wine. There’s nothing better than when your wine and food came from literally the same place. 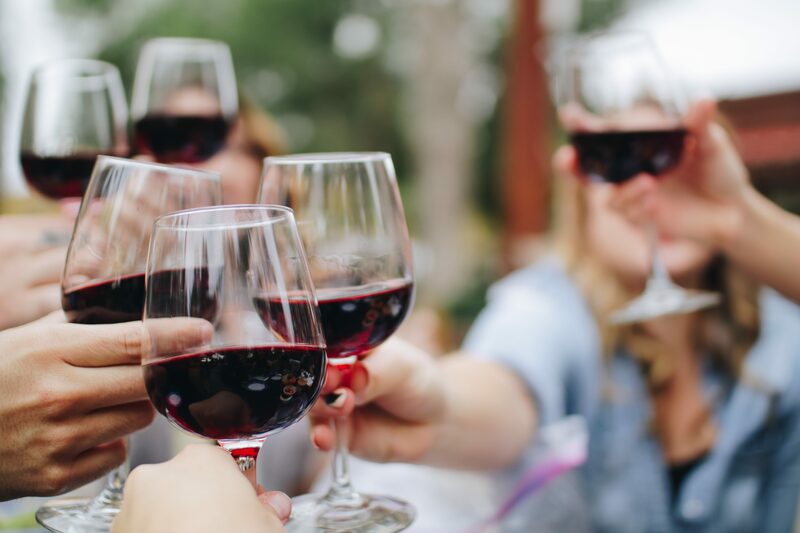 We’ll end with a tasting and tour at Sokol Blosser before returning to McMinnville for a private dinner at local favorite Common Plate—and maybe, just maybe, another glass of pinot or chardonnay to tide us over. From the country to the coast. Our first stop today is in Netarts Bay for a taste of the true salt of the earth. We’ll join the artisans from Jacobsen Salt Co. for a private tour of their salt works, and a tasting featuring local oysters and wine. It doesn’t get any fresher than this. 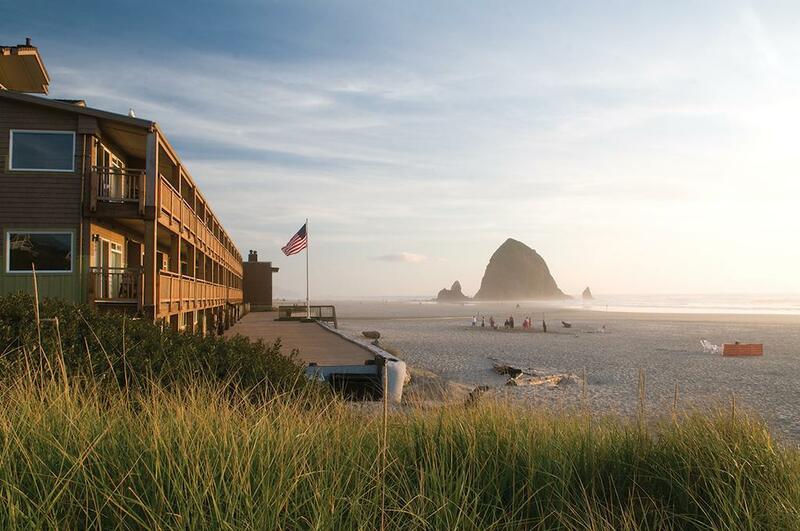 We’ll head north up the coastline to the iconic coastal town of Cannon Beach, to check into our hotel just steps away from the ocean. 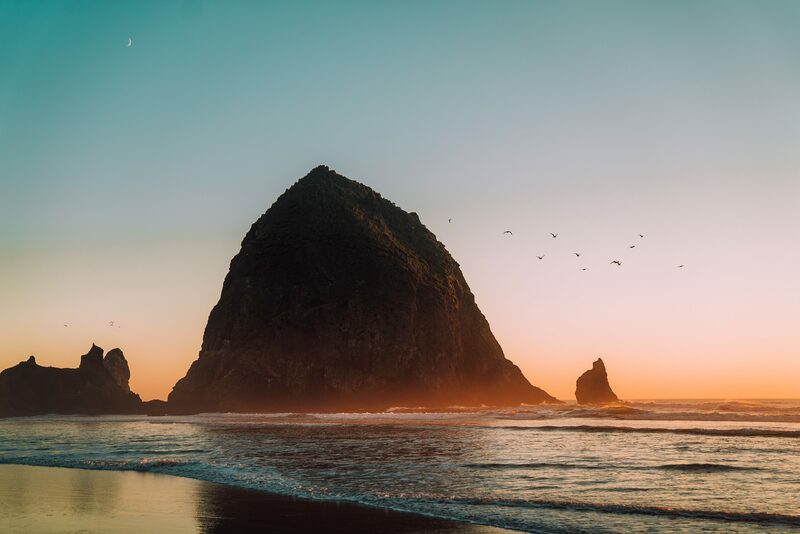 Take the rest of the afternoon to explore on our own the sprawling pristine beach and marine life around Haystack Rock, or just pop along the shops and galleries of Cannon Beach. Start off the day with stunning ocean views. We’ll head out on an easy hike up to Cape Falcon, where towering forest greenery gives way to a sprawling dramatic coastline high above the crashing waves. We’ll work up our appetite for lunch back in Cannon Beach at Public Coast Brewery—laid-back Oregon coastal fare at its finest. Take a break from high-class wines for some spectacular local craft brews with a private tour with Public Coast’s own brewmaster. We’ll round out the day at a seaside dinner and beach bonfire hosted by local hotel and restaurant staple Martin North. Watch the sun go down and reflect on the last bit of salty air and pristine views. We say farewell to the Oregon coast, but we aren’t back to reality quite yet. We’ll drive through lush forest thickets and dense farmland on our way back to Portland. From wine country to the ocean, it’s hard to believe the city was so close the whole time. We’ll get back in time for lunch and have the rest of the day to explore the city on our own. Peruse local markets, vibrant artwork and small shops that would make Fred Armisen smile. From the artsy upscale Pearl District to the kinetic and youthful Eastside, everything is just a short walk or ride away. We’ll reconnect with a last group dinner at one of Portland’s most highly anticipated new restaurants—which says a lot in a city where being a “foodie” is considered standard admission fee. Our night will be bookended with a final stay downtown. After a farewell breakfast, we’ll say goodbye to the Pacific Wonderland. 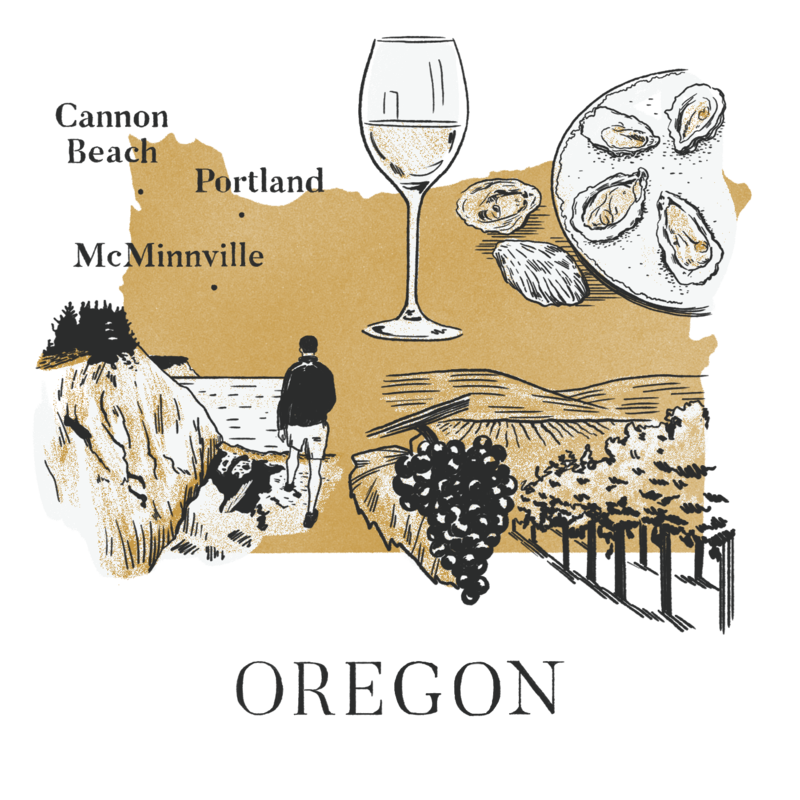 We’ll leave with the vivacious spirits of Oregon’s first wine pioneers, our palates enlightened and our minds open. The heart and soul of downtown Portland, wine country luxury, beachfront access: our boutique hotels reflect the beauty and spirit of Oregon. 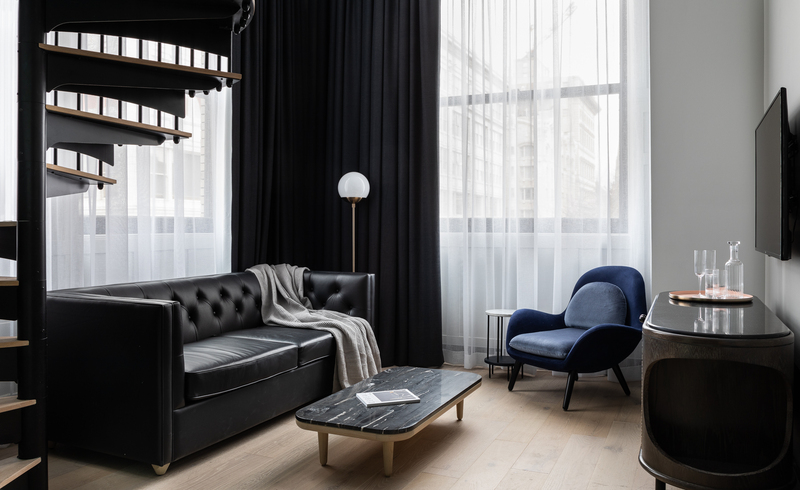 A sophisticated embodiment of Pacific Northwest hospitality in the heart of the Rose City. 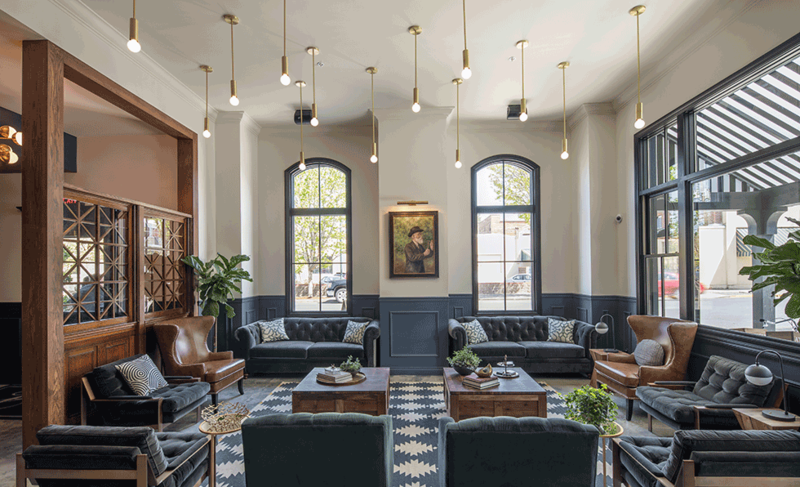 This 150-room hotel spans two historic buildings and brings the nuance, soul and beauty of Portland within its walls. Wander around downtown before sampling its coveted restaurant and coffee shop, and grab a nightcap in the cocktail lounge. Everything you need in Portland is right here. Get a personal and intimate stay on the doorstep of wine country. Atticus boasts local artwork and brands throughout its 36 quiet rooms. Every angle is carefully curated—down to their Pendleton wool bathrobes you’ll never want to take off. Enjoy Oregon luxury in its purest form. Wake up to the gentle rhythms of the Pacfic Ocean. At the Surfsand, you’re steps away from a sprawling sandy coastline and the local shops and restaurants that make Cannon Beach a go-to for any true Portlander. If the beach somehow isn’t relaxing enough, the on-site massages and sauna will be. Six nights at unique, boutique accommodations; exclusive VIP winery tours and tastings; private travel for all day trips and excursions; private guided activities, adventures and excursions as noted in the itinerary; entrance fees; daily breakfasts and lunches, plus two private group dinners; beverages with meals; gratuities for local staff. Travel to/from Portland, Oregon; travel insurance; transportation to and from the trip’s starting point in downtown Portland; activities not included in the trip itinerary; hotel incidentals including room service, laundry service and hotel bar tabs; food and beverage not included in itinerary; gratuity for trip leader. This 7-day, 6-night trip is offered on two separate dates: September 15 and October 6, 2019. In both cases the trip starts at 11am at Woodlark Hotel in downtown Portland. 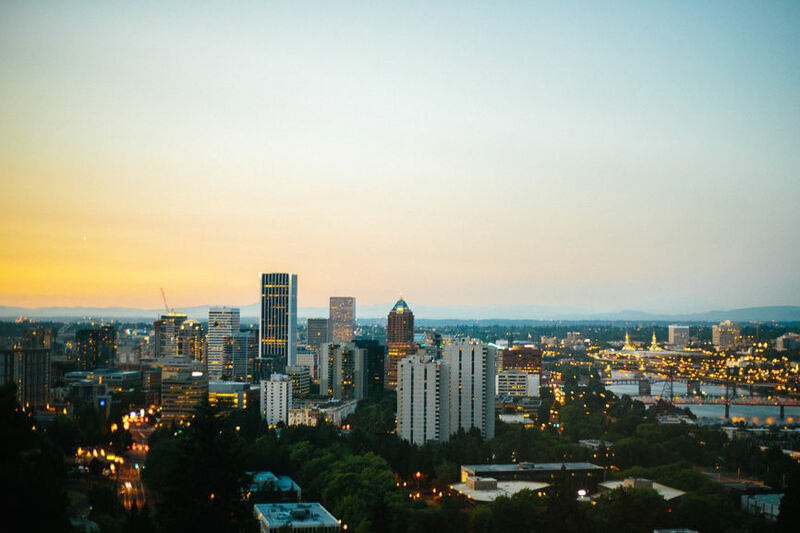 Travelers from beyond Oregon should plan to arrive at the Portland International Airport (PDX) no later than 9am, to ensure your prompt arrival at Woodlark Hotel by 11am. The trip ends at Woodlark Hotel in Portland after breakfast on Day 7. Travelers may schedule their departure flights at any time that day. We limit each departure to no more than 20 fellow adventurers plus your Modern Adventure team. Our experiences are about having fun and being inclusive, and you can expect to be joined by a diverse group in terms of age, background and interests – including solo travelers, couples, and friends traveling together. This particular adventure is for travelers aged 21 and above. This trip is led by a Modern Adventure Trip Leader. They are an experienced travel guide, a representative of Modern Adventure and the person to go to with questions or concerns on the trip. We’ll be joined throughout our adventure by local, expert guides who are deeply knowledgeable with respect to local cultures, customs and history and are passionate about sharing that with us. Prices are based on double occupancy. If you wish to share a room, select ‘Single: Willing to Share’ at checkout and Modern Adventure will pair you with a roommate of the same gender. If you are a solo traveler and prefer to have your own accommodations, a $1,050 single supplement will apply at checkout; these spots are very limited and available on a first-come, first-serve basis. Oregon in September and early October can be glorious, with plenty of sunshine (that’s right, sunshine!) and temperatures in the high ’60s and low ’70s. Weather on the Oregon coast is more unpredictable. Be prepared for rain and breezy conditions at any time. You may cancel up to 96 days prior to the scheduled departure date and receive a full refund minus a $500 per-person service fee. If you cancel between 95 and 61 days in advance, there is a 50% cancellation fee. Within 60 days or less from departure there is a 100% cancellation fee. We highly recommend purchasing travel insurance as we are not able to make exceptions to this policy in cases of family/medical emergency or cases of the trip being cancelled (See our Terms and Conditions for full details).